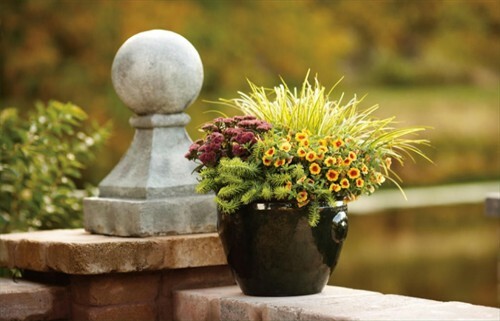 Landscape Design Associates offers a comprehensive container gardening service. 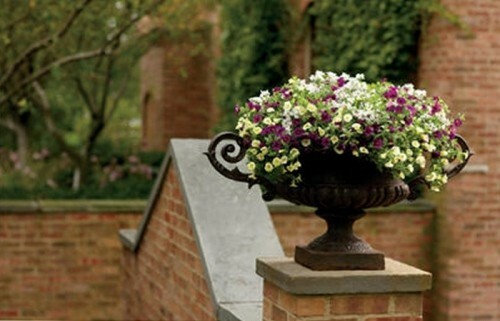 We design and plant beautiful patio planters, window boxes, and hanging baskets, which will enhance your outdoor spaces throughout the year. 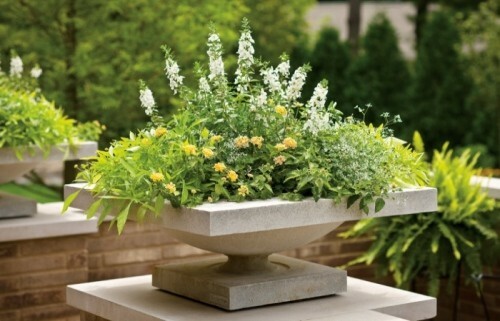 We can also help to source containers to match your surroundings, and can provide maintenance options to keep the plants looking happy and healthy all year. Most plants for our container gardens are grown at our greenhouse in Great Falls, allowing us to provide unparalleled choice and value for our clients. Growing at low volume allows us to avoid using chemical herbicides or pesticides, resulting in better plants coming from a healthier environment. 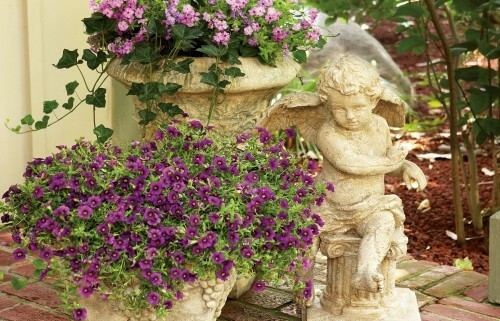 We can plant at your location or at the greenhouse, depending on the number and sizes of containers. And color preferences and site conditions are always carefully considered to ensure the best possible match with the clients' needs and wants. 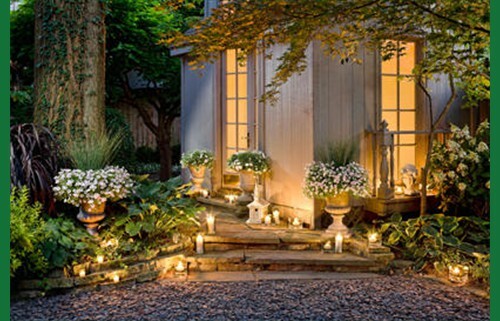 Landscape Design Associates can provide unique plantings for special events such as weddings, Bar/Bat Mitzvahs, and indoor or outdoor parties. 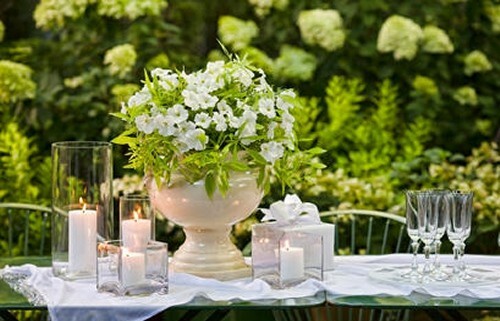 These may include, for example, urn arrangements which provide a lasting reminder of the event, table centerpieces matched to the settings, or individual take-home favors of custom-grown herbs. We ensure that colors and themes are carefully matched and blooms are timed so that everything is perfect on the big day. Hourly rates include reasonable quantities of soil and fertilizer. Additional charges may apply for unusually heavy or large items, for large quantities of soil, or for specific plant requests.